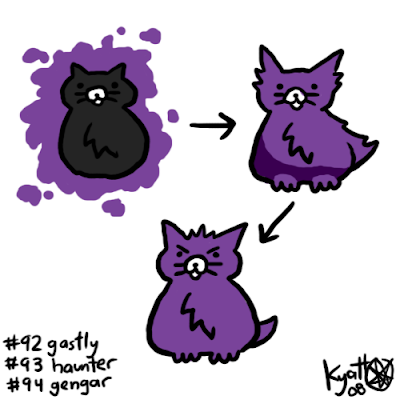 Remember in R/B/Y when ghost was the only type strong against psychic types, but the only ghost Pokémon (the ones in today's entry) were also poison types, which just happen to be weak to psychic? If you were a psychic or ground type in the first generation, the world beat a path to your door. Bug was good on Psychic. Yeah, never mind. Doesn't count.